Be the first to share your favorite memory, photo or story of Michael “Mike”. This memorial page is dedicated for family, friends and future generations to celebrate the life of their loved one. 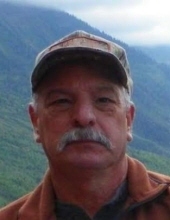 Michael J. Kindred, 66 of Brownstown, passed away Monday, December 31, 2018. He was born July 16, 1952, in Seymour, Indiana, the son of the late Maurice and Ruth Manuel Kindred. He graduated from Brownstown High School in 1971 and worked as a machinest at Cummins for many years. He enjoyed being outdoors, playing golf and bass fishing. He is survived by his children, Jason (Tobi Todd) Kindred and Susan Kindred Jackson; grandchildren, Tiffany Todd and Savannah Todd; great-grandchildren, Irelande and Gunner; and brothers, Rick (Donna) Kindred and David Kindred. Funeral services will be conducted 7:00 p.m. Friday, January 4, 2019, at Winklepleck & Brock Funeral Home. Friends may call on Friday after 5:00 p.m. until time of service. To send flowers or a remembrance gift to the family of Michael “Mike” J. Kindred, please visit our Tribute Store. "Email Address" would like to share the life celebration of Michael “Mike” J. Kindred. Click on the "link" to go to share a favorite memory or leave a condolence message for the family.